As expected, we finished hiking Mt. Gulugod Baboy too early, done hiking as early as 11 AM. This, of course, gave us plenty of time for the beach side trip. But then, it was high noon, and we don't want to end up like french toasts, therefore we waited a few more hours (eaten our lunch first and had some power nap) before we proceeded to our island destination. 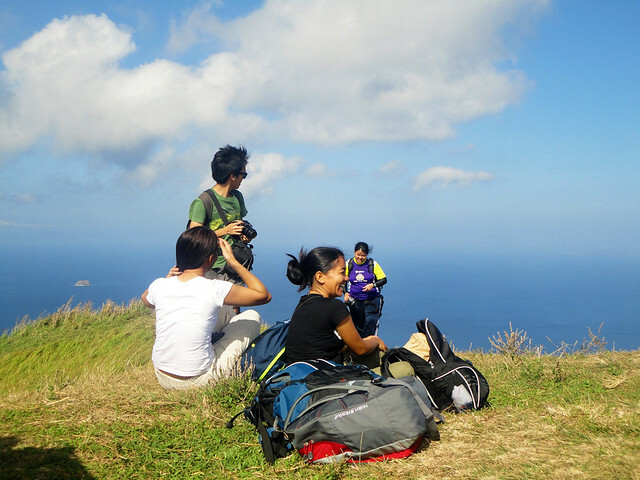 | Sombrero Island was the target destination after our quick and easy hike in Mt. Gulugod Baboy. 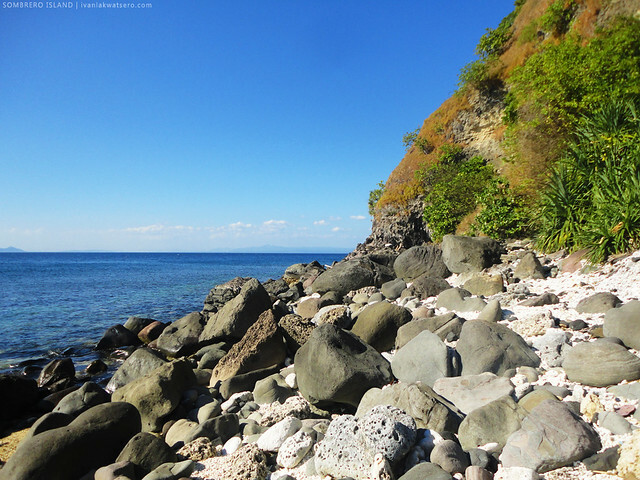 It's just 25-30 mins boat ride from Anilao, thus a perfect post-climb side trip. 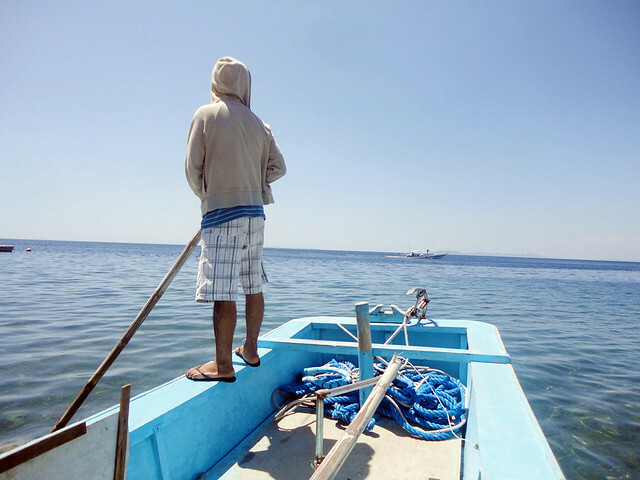 Good thing there's Kuya Globert (contact him here: 09215739964), getting a boat to Sombraro Island was a lot easier. just so you know, that island seen at the left of this photo is Sombrero Island. At 1PM, we started sailing off to the island. We're 14 in the group, and we rented the boat for P2500. P180/head is not that bad. 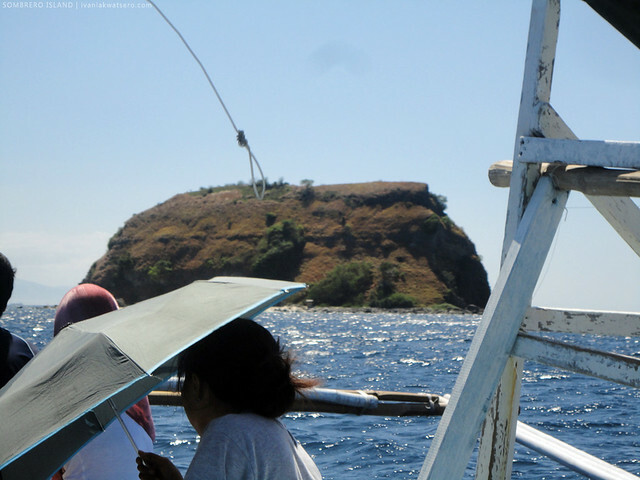 From afar, Sombrero Island does resembles the shape of a hat , hence the name. Sombrero Island is pretty much a small island but it is, no doubt, a perfect place to hang out. 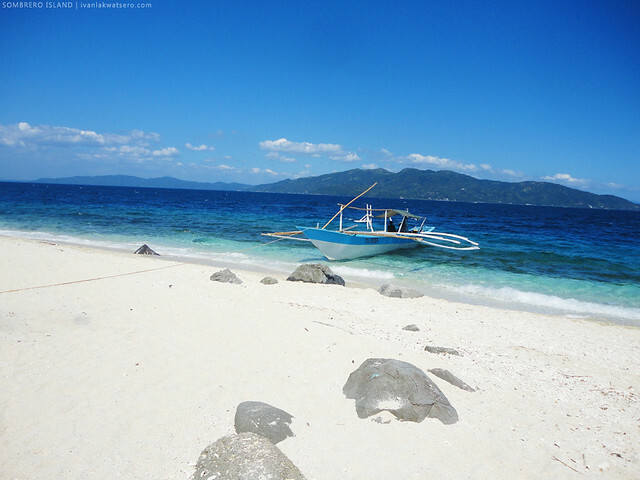 Beach bummers and snorkelers would definitely love the place for its white sand beach and gentle waters. 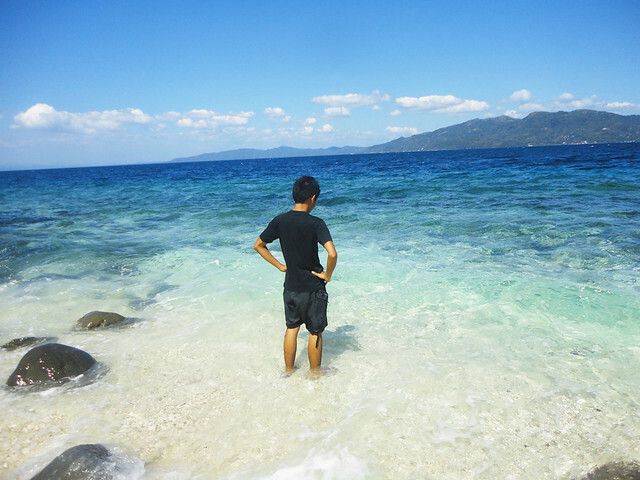 Woohoo, worth it ang pag-punta namin sa isla. who will not be tempted to swim by this very fine beach. 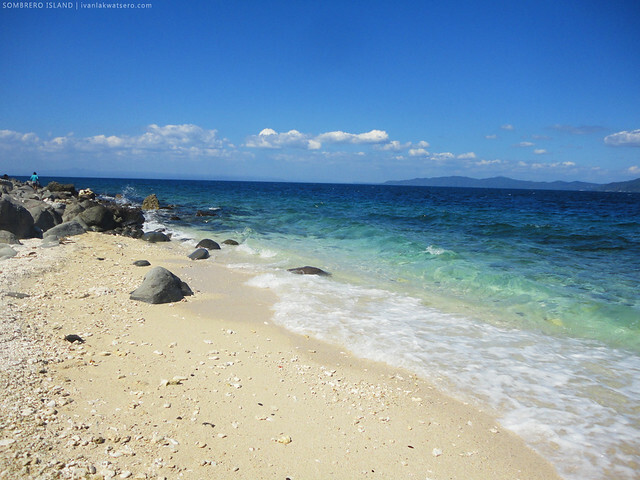 The island has a short stretch of white sand beach, probably just 150 to 200 meters (beach camping is plausible). 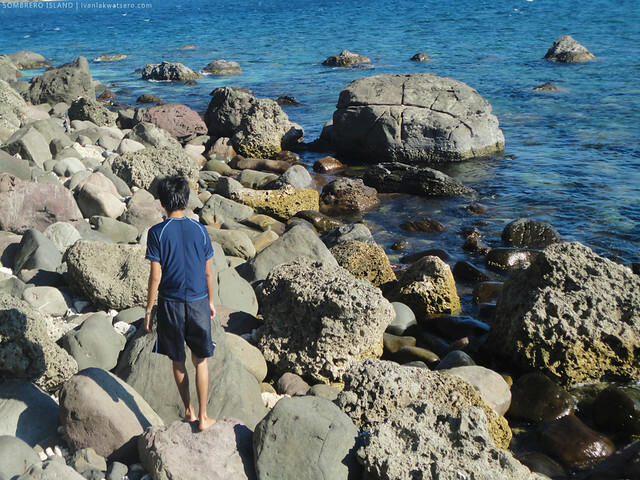 We tried to search for more beach hoping that there is on the other side, but we saw only piles of medium to large size boulders. 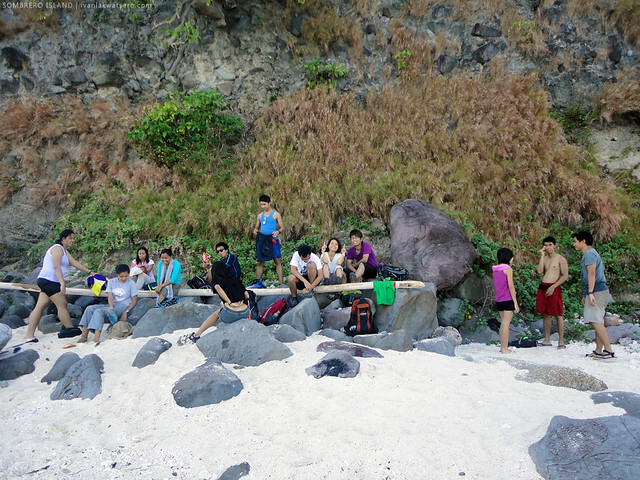 Anyway, kahit maikli lang yung beach, we're happy with it na. before we were allowed to roam around, the caretaker charged each one of us P100 for the entrance fee. I also attempted to climb the highest point in the island, but the rock walls were either too sharp or too loose to make it on top. 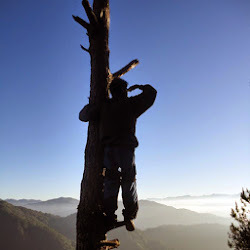 Sayang, the view from there would've been so awesome. 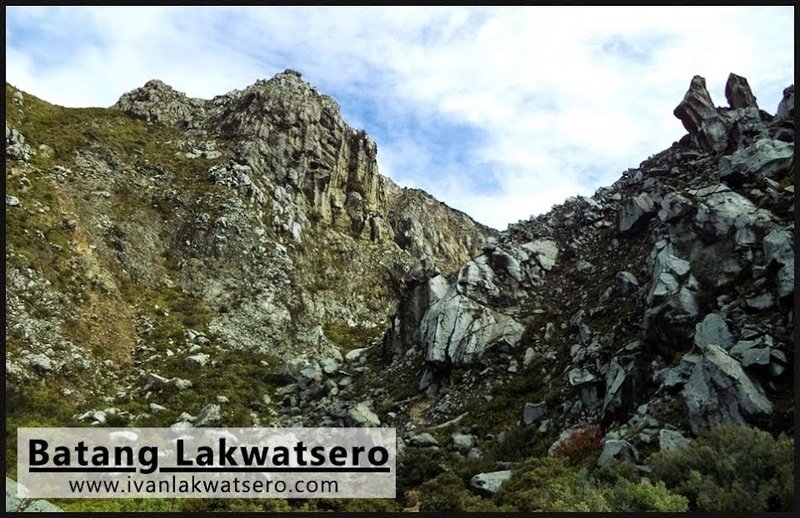 Sa baba pa lang kasi, kita na ang Mt. Batulao and Talamitam, Taal Volcano, Lubang Island group, mountains of Northern Mindoro and of course, Mt. Gulugod Baboy. Ang sarap pa sanang mag-stay sa island pero kelangan na naming umuwi, may mga trapaho pa kasi kinabukasan. So at 4PM, the whole group bid goodbye to the small but certainly beautiful island. Our stay may have been quite too short, but nevertheless it was so much fun. Thanks again to all who joined me in this trip! Is there a fresh water source in the island? I think there's none, the island is too small, uninhabited and quite barren. This place is a paradise! The mountains are so inviting and the crystal clear water looks so cool! sir, pwde mag overnight sa island? pwede kaya mag-ihaw sa islands? Can you send us the breakdown of expenses and it?